Your armour has proven a strong defense upon the battlefield. You love the comfortable style and fit, but wish to customize your look. Add the right flair to your protective gear with the Kendra Leather Tassets for Ladies. 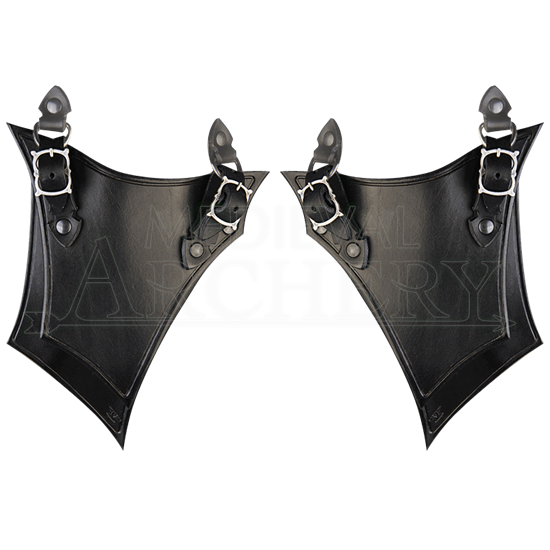 These excellent leather thigh guards are each fashioned from two segments. The detailed edging and stylish curves enhances the medieval look and feel. Two adjustable straps on each tasset allow easy and secure attachment to body armour. Complete your beloved armour set by adding these tassets. This pair matches perfectly with the Kendra Leather Bodice for Ladies.